Do you know? 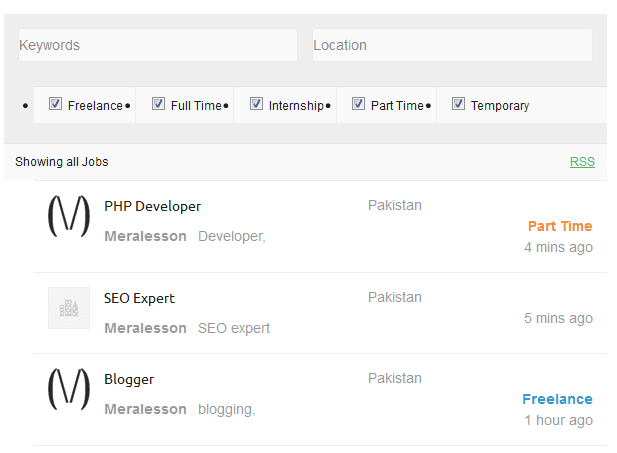 you can add Jobs posts section in your WordPress where you users can post jobs and you manage from your dashboard. So in this tutorial you will learn how to add Job listings system in your WordPress site with custom post type. And you can easily handle job posts from your admin panel. If you are creating jobs posts site or add an extra job listing section in your WordPress site, then you probably need a better Job manager for your WordPress site. in this article we will discuss about the best and popular Job posting plugin. In this WordPress beginner tutorial we will use the WP Job Manager which is most popular and best WordPress plugin that allow you to create a job listings section in your WordPress site. where your users can post jobs and you can also manage job listings from the WordPress admin panel. Do you know? more than Seventy Thousand (70,000) WordPress websites and blogs using this plugin. The First thing that you need to install the plugin and configure it. first download and activate the WP Job Manager plugin. You can read our step by step guide on How to Install WordPress plugins. So after activating the plugin, then it will redirect you to the Setup Wizard page where you can easily create the job listings pages so click on the Continue to Page setup button and create the pages. Once you have created pages, then you able see job listings on your Site. So you will have 3 pages first one will be Post a Job where users can post jobs. and next will be jobs where you will see all job posts. and the last will be Job Dashboard where you will see job status, so if you want to add or delete job pages then go to your WordPress and click on Job listings tab and settings >>pages tab and there you will see your pages where you can add or delete them. 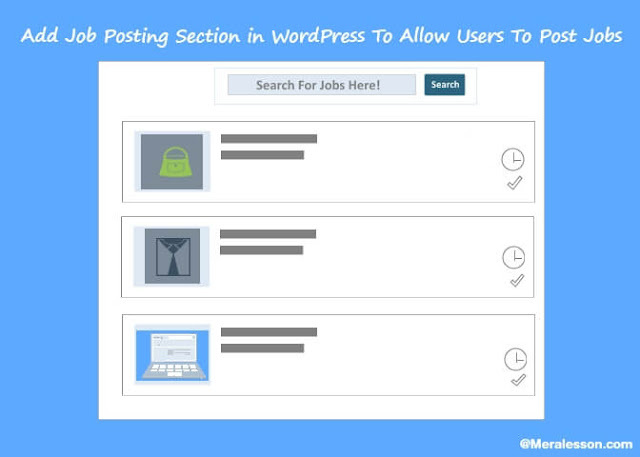 And you can also manage your Jobs posts from WordPress panel and also can approve job posts, so go to the Job Listings tab and there you will job posts and from there you can approve jobs and also can add new jobs. So this how you can add Jobs Listings to your WordPress if you like this tutorial then like and follow us on Twitter, Facebook to get latest updates from us. You can never go wrong with WordPress plugin, you can do a lot of things besides creating your own website. Students from glorious essays are WordPress plugin user for quite some time now. They used the plugin in completing their thesis projects. I agree with you Sol. Wordpress is really on top of game compared to any other free and paid services out there. Not only students are benefiting the awesome features and plugins for Wordpress but also business entities. In fact we from EvoEssay.com have been using the same engine and plugin ever since we started.